This weekend T and I had a wedding in Columbia, so we spent Friday and Saturday nights with my parents at their lake house. 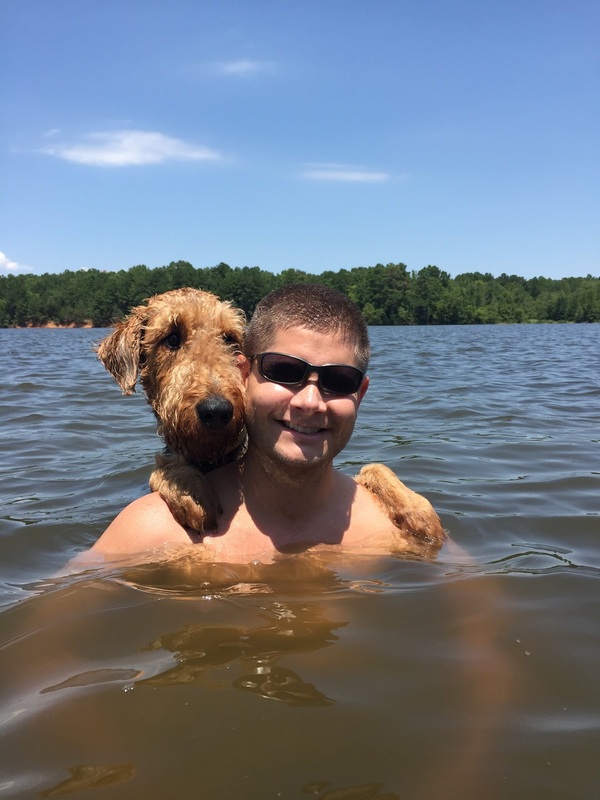 We absolutely love going to the lake. It's one of the only places that I can go and completely relax. It's laid back, showers are optional, and we barely get any cell phone service. 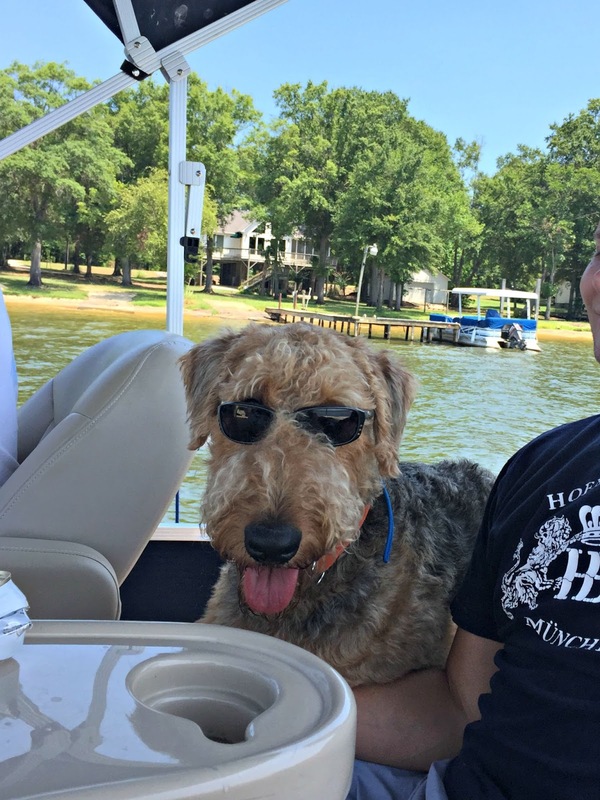 On Saturday afternoon, we headed out for a pontoon cruise. 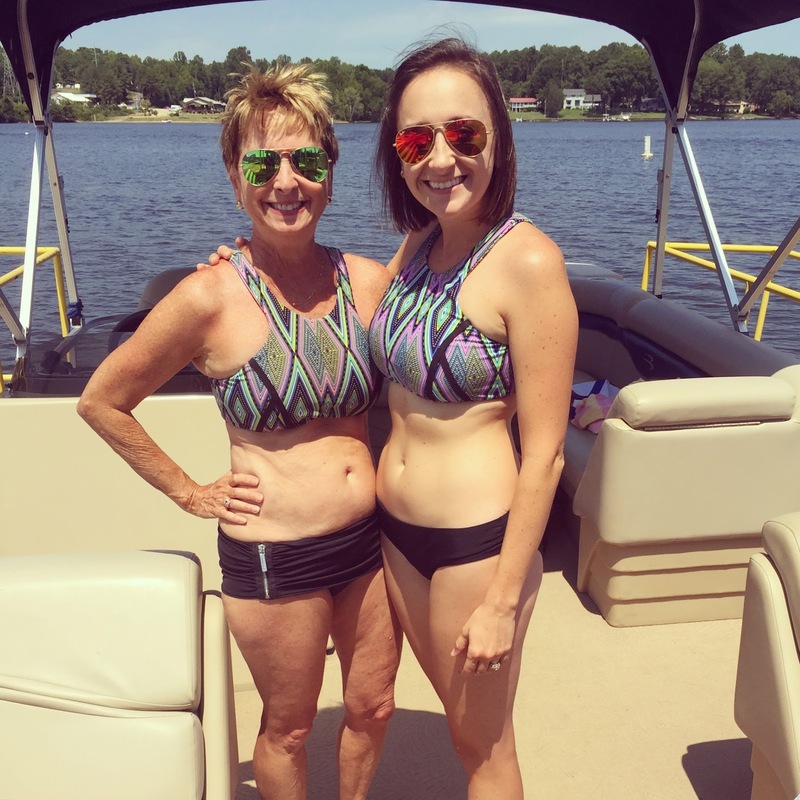 My mom and I have the same bathing suit, so we thought it would be fun to match for the day. Ten years ago I would have been humiliated to match my mom out in public, but now I think it's the greatest thing ever. 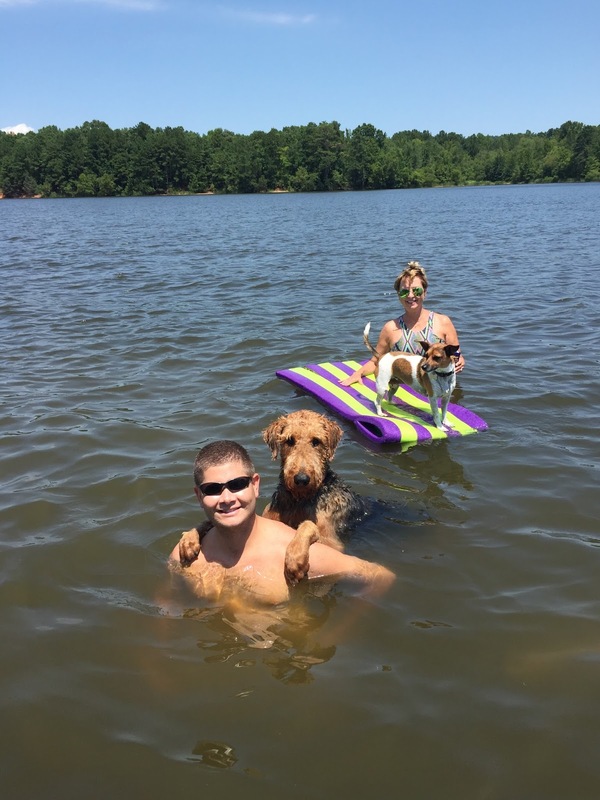 We stopped at our favorite service station/ burger place for lunch and headed a sandbar afterward to cool off in the water. George was tall enough to stand on his hind legs and prop his arms up on T's shoulders so we could wade with him. He looked so human-like, it was hilarious. That evening we headed to the wedding of one of my good high school friends. I managed to take no pictures what-so-ever because I spent the whole night catching up with some of my best hometown friends who I hadn't seen in years.